Basque area in the north of Spain, bordering the Atlantic Ocean. It is community of three provinces within Spain. This local Country area is one of the world’s top gastronomic destinations, with key gourmet centers in San Sebastian, Hondarribia, and Bilbao. For this local area of Spain Interesting selection of Maps and Book JUST CLICK IN. A Vibrant Land of Gourmet Cuisine, Sandy Beaches and Fascinating Culture. All 761 hotels in Basque Country. Spanning the French-Spanish border, the beautiful coastal Basque Country lays a lot at your feet: renowned gourmet cuisine, stunning mountainous landscapes and wide, sandy beaches. And not forgetting its stormy history and vibrant cities – they’re a real cherry on top! Its capital, Vitoria-Gasteiz, the 2nd largest in the region and one of the greenest European cities, features a charming town centre with Gothic churches and Renaissance town houses. More contemporary examples of architecture can be found in the region’s biggest city, Bilbao, home to the world-famous symbol and architectural gem of the Guggenheim Museum. This Country is not all about architecture though. Try the other tourist destinations of Pamplona with the famous running of the bulls during the San Fermin festival – or San Sebastian, the popular beach resort with a picturesque coastline and great beaches. Wherever you go, keep in mind (and later in your mouth!) the delicious pintxos, the local equivalent of Spanish tapas and wash them down with some local beverages – the unique Sagardoa cider, Txakoli wine or Patxaran, a pink-coloured sloe liquor. A wide choice of luxury and boutique hotels, friendly guest houses and comfortable country houses, for your next Country visit. Looking for an epic culinary experience in Spain? 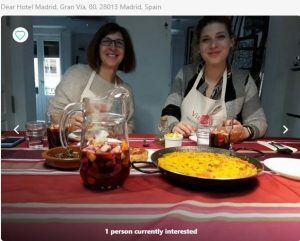 Join Foodies in the city as they take you on a market tour, paella cooking, and olive grove tour adventure in Madrid. Discover fresh ingredients and learn to cook authentic traditional Spanish dishes and find the most hidden culinary secrets of the Spanish culture. 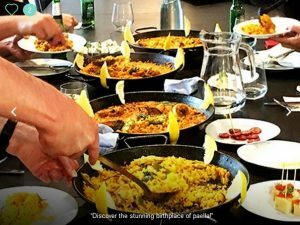 Join for a delectable cultural and gastronomic hands-on experience preparing Spanish dishes and drinks! The homeland of the proud and resilient people is split between France and Spain. From our San Sebastián home base, we tour the ancient capital of Guernica, the dazzling Guggenheim Bilbao, and then cross into France for more local Country charms. From yummy tapa bars to lightning-fast jai alai games, we’ll experience local culture at its most vivid. 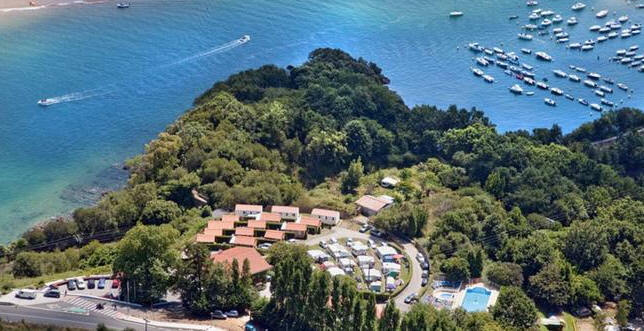 Accommodation Hotels Apartments and Guest Houses Villas in the Guipuzcoa Basque country in Spain. Spain Info, Basque, San Francisco De Asis, Urb Marina, San Fulgencio, 03177, Alicante, Spain.